According to an article in the Daily Pilot by Brad Zint late this afternoon, HERE, today Contract City Attorney Tom Duarte apparently provided an opinion to the City of Costa Mesa that the mistake made with the vote by the Parks and Recreation Commission last Thursday night regarding the user status of Matt Leinart Flag Football was OK, thereby erroneously granting Group 3 User status to that organization for another year. How does one completely ignore the actual video record and decide what the commissioners THOUGHT they were voting on? I wrote a lengthy report on that meeting and included my summary of what had happened when the vote was taken, HERE. At that point in the meeting I suspect everyone in the audience was exhausted by the emotion of the issue, the history between the competing groups and passion of folks on both sides of the issue. 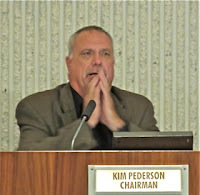 Chairman Kim Pederson almost took a break before the issue in question received a vote, and he may not have been the only person on the dais not paying attention. 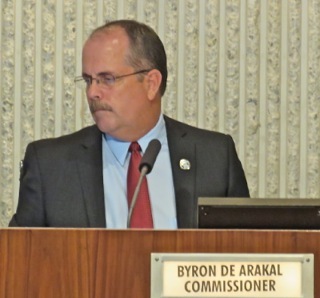 Again, BEFORE the vote was taken Commissioner Byron de Arakal asked a pointed question of Recreation Manager Travis Karlen. He asked if Leinart remained a Group 3 user NOW. He emphasized that last word because it was important. He then read from the staff report for his motion, which included ONLY the permanent Group 1 users. In fact, even de Arakal was off his game, because he failed to say "Group 1" - he said "group users". The commission voted on that single issue, period! Then, de Arakal asked Karlen if they needed a vote on number 2, the "user group" question. The response was yes, but Pederson apparently didn't hear it and proceeded to call for a break. de Arakal reminded Pederson that they needed a vote, to which he stated that he "thought it was included". THEN de Arakal asked his pointed question about the Leinart status, and when Karlen affirmed that it had Group 3 status NOW, de Arakal stated his motion. He read the first sentence of item 2 verbatim, but DID NOT include the second one about the Group 3 status of Leinart. There is NO DOUBT about that. The commission voted, 5-0, on that issue. CONFUSION During the break it was clear that confusion reigned on this issue. Karlen was on the phone with CEO Tom Hatch, letting him know that there were issues with the vote and apparently looking for guidance. At one point the discussion at the well - the front of the chambers where the staff sits - I heard a comment by someone saying, "Well, what do we do now? Everybody has left. 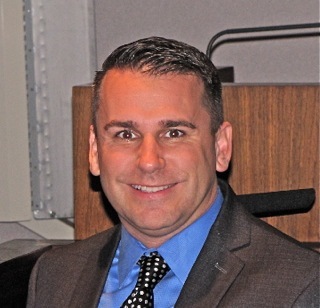 ", meaning that all the interested parties in this issue had departed the council chambers. When Harper asked the clerk to read back the minutes he was told by her that the actual minutes were not available - they needed to be transcribed. She then tried to RECREATE the motion from her memory - and GOT IT WRONG! She included the Leinart sentence. 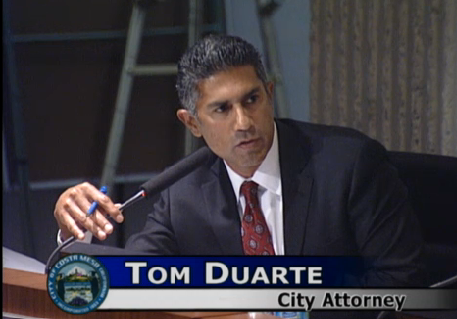 And now Duarte perpetuates the mistake, obviously ignoring the video record of the event. How does one make this kind of a mistake? It befuddles me. WHAT WILL THE COUNCIL DO - IF ANYTHING? So, now the City Council will hear the issue of the FUAP sometime in July, but it's unclear to me if the assignment of Group status for those organizations, including the Leinart organization, will be part of their review. Even if it is, the Leinart group has received preferential treatment for more than a year and, some say, it is highly favored among certain city officials. One might suspect that this error - major screw-up, actually - will permit them to continue this preferential treatment and cost the city thousands of dollars. Remaining to be answered is whether the Leinart group can, 1) become a legitimate non-profit instead of using the ruse it's been following for the past year? and, 2) can it prove that it has the necessary ratio of Costa Mesa residents to qualify for Group 3 status? If the answer to 1) is "NO", it will pay higher fees. If the answer to 2) is "NO", it automatically will default to Group 5 status and lose priority in field assignments. One hopes for better from those in positions of responsibility in our government. One would hope our commissioners would pay attention during the meetings. And one would hope for better decisions by members of the senior staff. It's not too much to ask, is it? This fubar simply means that the city attorney will have to put in more billable hours untangling this mess. I knew they were headed for trouble when deArakal started dicking around with the language as written regarding the user groups. I think he should have followed the advise give by someone (can't remember who) to have staff make the changes then revisit the issue. When you start making multiple changes like that to a document during a public meeting, it's bound to lead to confusion. It seems to happen every time it's done at a cc or PC or P&R meeting. It's like listen to a "who's on first?" conversation, and then, in the end, nobody "in charge" knows what the hell just happened. As far as Duarte proclaiming that, from this mess created by P&R committee, Leinart still retains status 3, I think that directive comes from Mensinger to "just make it happen" as he has done so for Leinart since he appeared on the scene in CM. He's consistently ignored the fact that Leinart is a for profit group, why not ignore the facts at the P&R meeting? Although one thing bothers me about DeArakal's changes: why didn't he specifically mention Leinart football by name as not retaining the group 3 status going forward? He mentioned other specific groups in his changes; was he purposely not naming Leinart football to create a vagueness in the interpretation, which also gives him an out because he can, and does, claim that he didn't mention Leinart as retaining group 3 status for this year. It would have been much clearer and specific (and I was waiting for him to say it) that Leinart was not included in that group! Why didn't DeArakal do that?? I don't like or trust deArakal.